Suncast's Hose Hangout hose reel provides convenient, wall mounted storage for your garden hose. Sturdy resin construction makes it durable and easy to maintain. Leader hose included. Make hose repair a snap with this family of Push & Go Metal Menders. This mender is designed to repair the middle of a standard 5/8" garden hose. Simply push on to the hose no tools required. Constructed with leak-free technology, these menders ensure an air-tight seal. Just push the hose and mender together, and go back to your watering activities. 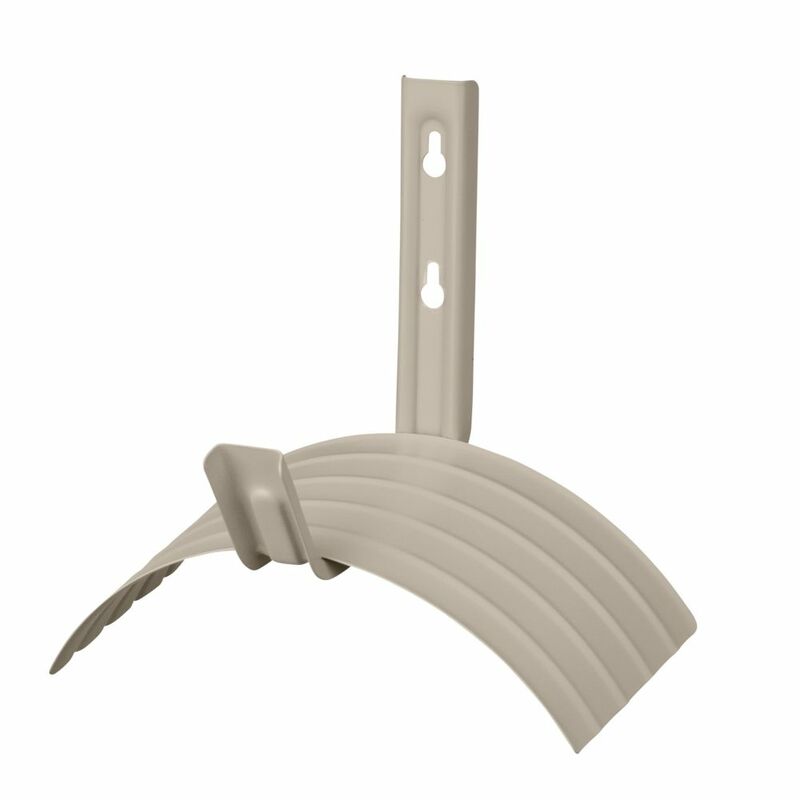 Metal Hose Hanger with 150 ft. Capacity Suncast's Hose Hangout hose reel provides convenient, wall mounted storage for your garden hose. Sturdy resin construction makes it durable and easy to maintain. Leader hose included. Metal Hose Hanger with 150 ft. Capacity is rated 5.0 out of 5 by 1. Rated 5 out of 5 by amateur decorator from Simple I purchased this to replace a similar one that was 20 years old! I have either a 50' or 75' very good quality hose--in other words the hose is heavy. I have the hanger mounted on my brick wall. I have severe carpal tunnel in both hands, and it is very easy to hang my hose. The color matches my garage vinyl siding, and my downpipes. It is plain/simple, and does not take up much space.